By the looks of it, 2018 could be a make it or break it year for Tesla and Elon Musk, the automaker that’s aiming to bring electric vehicles to widespread production. Why could 2018 be a year of reckoning for the California-based automaker? Simple: It’s finding it more difficult than it originally anticipated to bring its Model 3 electric sedan, with a price of $35,000, to mass production. Tesla CEO Elon Musk had originally stated that Tesla would be producing about 5,000 Model 3s a week by the end of 2017, but the automaker has fallen well short of that goal due to a variety of issues. When you over-promise and under-deliver, it’s not likely to bode well for customers or investors – and you don’t need to take a defensive driving course to understand that. If Tesla doesn’t get its act together, there’s thinking that investors could bail on the company, leaving it in limbo. The Model 3 is an electric sedan. And because it comes with a price of $35,000 – or about half the price of Tesla’s more luxurious electric vehicles – it has long been touted as the first all-electric vehicle that’s poised to go mainstream. In other words, Tesla’s hope is that the Model 3 brings the efficiency of electric to the masses. The Model 3 could also serve as a gateway vehicle that paves the way for more all electric styles. 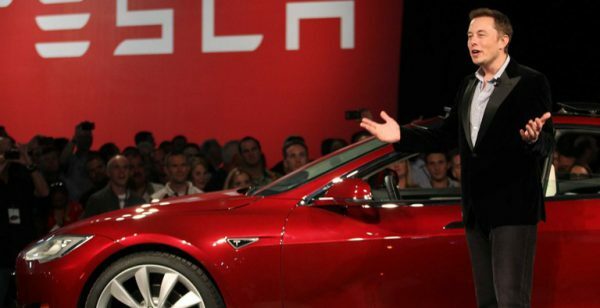 For example, Musk recently responded to a Twitter follower that he’d like to make an all-electric pickup truck. That, of course, may not come until Musk unveils Tesla’s electric crossover, the Model Y, that is in development. The big problem with the Model 3 is its production. Specifically, Tesla’s touted advanced production techniques have just simply not panned out when it comes to getting these cars made. The struggles have led Musk to label the situation “production hell,” and have even seen him go on the record about how upset he is with the state of things. There have even been rumors swirling that employees at the Fremont, California, facility where the Model 3 is being built were at one time making some parts by hand. If true, it’s easy to see why the Model 3 has fallen well short of Musk’s production goals. Couple these production issues with an unnamed supplier that Musk has cast blame on, and it’s been a bumpy ride getting the Model 3 made. Can the Model 3 Meet Expectations? That remains to be seen. At this point, auto experts estimate that Model 3 production is going to come tens of thousands of units short of Musk’s initial 2018 Q1 goal, which isn’t a good way to start the year. But there is hope for a resurgence after the first quarter, but only if Tesla is able to iron out the kinks in its production process and settle on the suppliers that provide parts with the quality and efficiency that its customers expect. If it fails to deliver, or continues to slog through the production process, it’s likely that a lot of the customers that put down refundable $1,000 deposits to get the Model 3 will take their money elsewhere. Without the sales revenue to offset the expensive development and production costs, it won’t be happy times for the company so bent on turning the auto industry upside down. What do you think? Will Tesla make it or break it this year with the Model 3? So far, it doesn’t look promising, but if there’s one automaker you never want to count out, it’s Tesla.